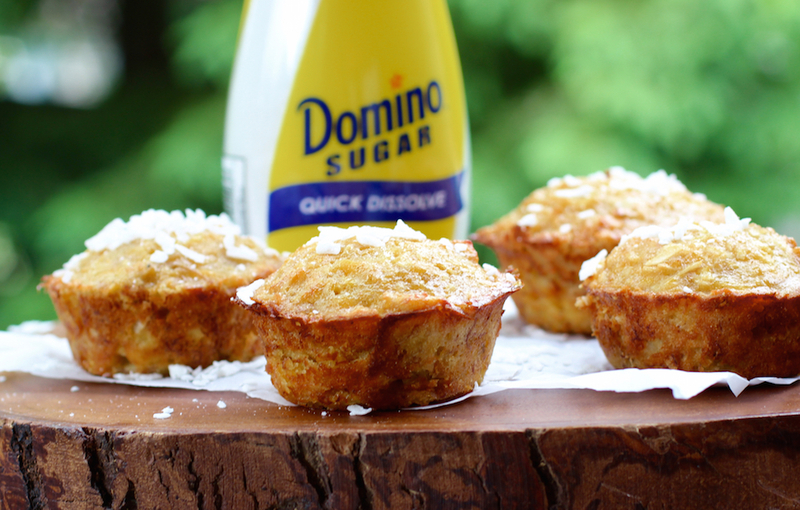 Thank you to Domino® Quick Dissolve Superfine Sugar for sponsoring this post! As always though, opinions are 100% my own. 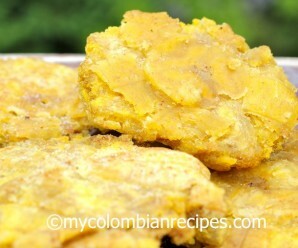 Plantains are a very important ingredient in Colombian and other Latin cuisine and are cooked in many ways. Green plantains are use to make salty dishes, while yellow or ripe plantains are use to make both salty and sweet dishes. 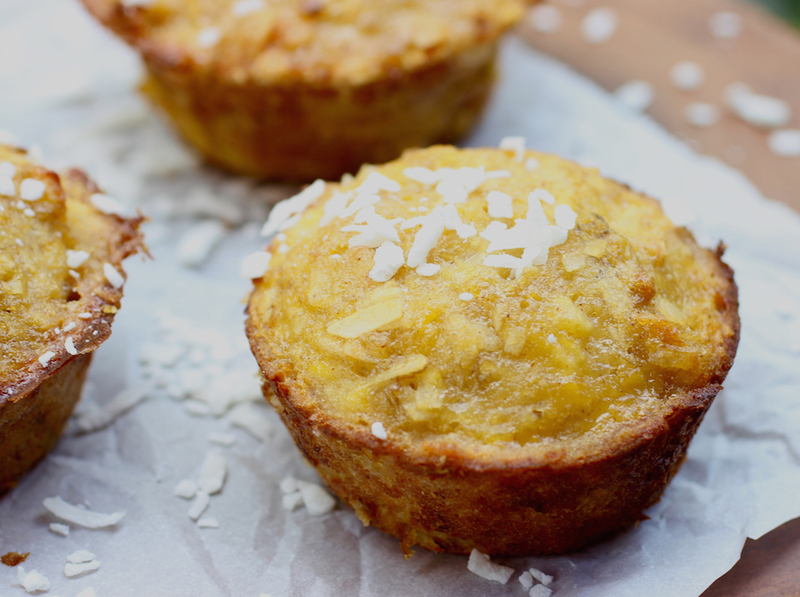 The consistency and flavor of the yellow plantain is perfect for making desserts and cakes, such as my Ripe Plantain and Coconut Mini Cakes, which were inspired by a ripe plantain and coconut bread that my grandmother made when I was a child in Colombia. I decided to put my own twist on her recipe by making mini cakes instead of bread, being so versatile and easy to serve. 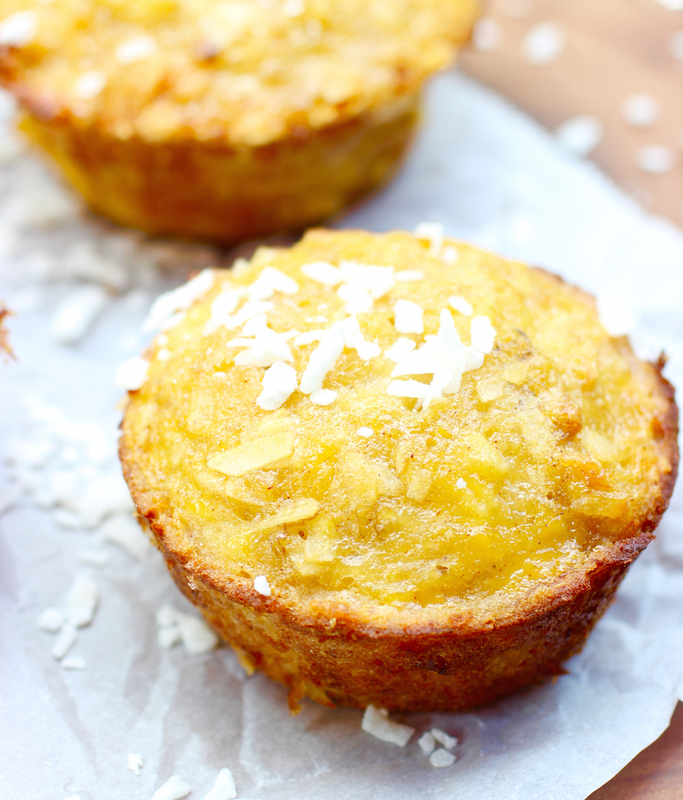 These Ripe Plantain and Coconut Mini Cakes are not only versatile, but very simple to make and absolutely delicious. 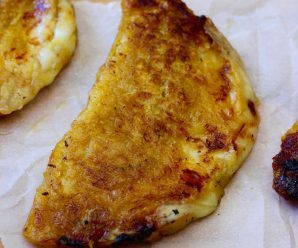 They can be eaten as an appetizer, side dish or dessert. 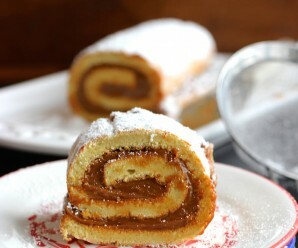 The perfect little bite to serve your guests or just to keep in the fridge for snacks. If you don’t have a muffin baking pan, just use a bread or cake pan and bake 10 to 15 minutes longer. 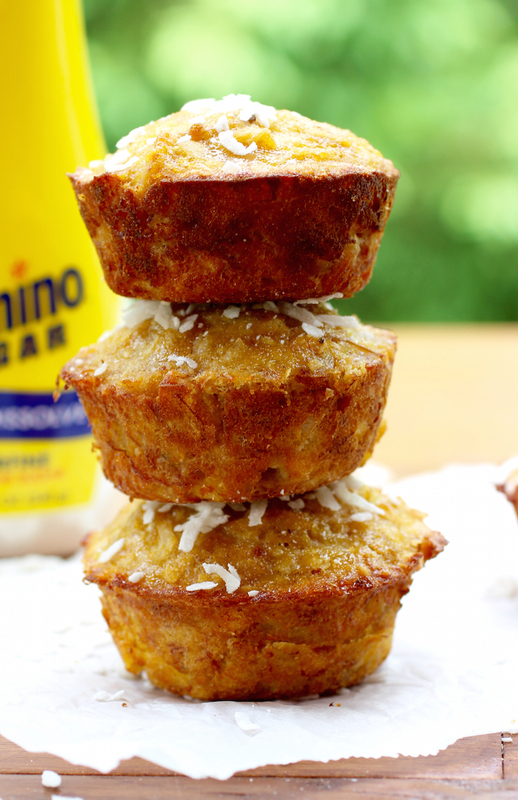 I used ripe plantains, grated coconut, milk, eggs, butter, cinnamon coconut extract, baking powder and Domino® Quick Dissolve Superfine Sugar, which is available in an attractive and easy-to-use dispenser with a flip-top lid. The sleek dispenser comfortably fits in the hand for easy pouring and can sit out on your kitchen table, eliminating the need to refill and clean a sugar bowl. It’s the convenient, neat way to store and keep sugar handy for everyday sweetening. 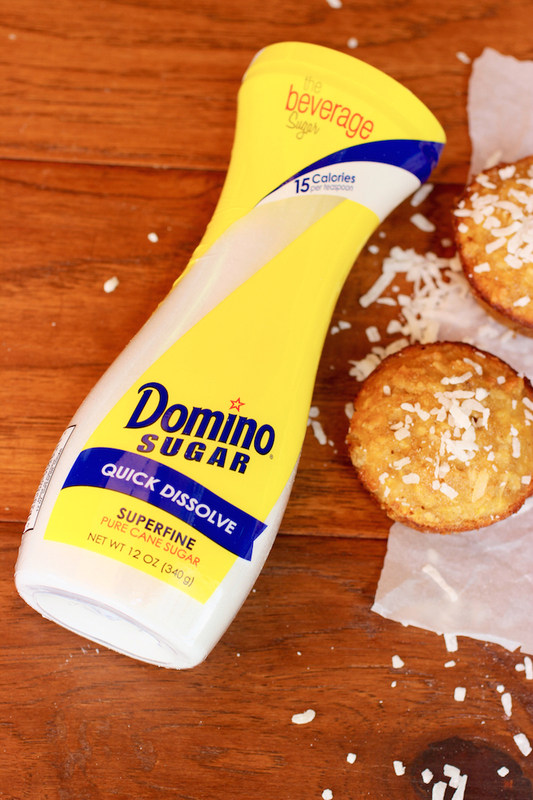 Domino® Quick Dissolve Superfine Sugar has finer sugar crystals than those found in traditional granulated sugar, allowing it to rapidly blend when sweetening hot or cold beverages. Ideal for hot coffee, and even cold drinks like iced tea, lemonade or smoothies. Domino® Sugar is sold where I live, but if they don’t sell it in your area, look for C&H® Sugar, the sister brand of Domino® Sugar. Want more recipe ideas, baking tips and information about the products? Head over to the Domino® Sugar site, where there are tons of ideas to make hassle-free dishes to make your entertaining easier this summer. 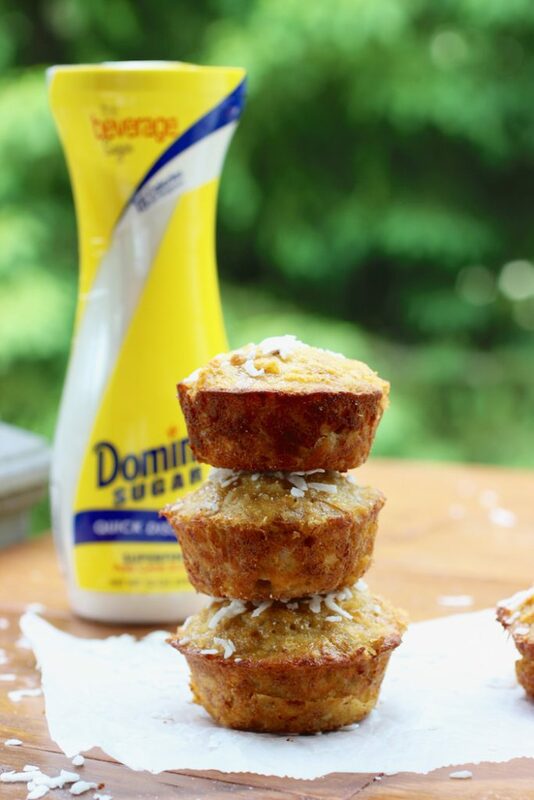 Domino® Sugar is hosting a Giveaway to help one lucky winner host a family gathering of their own! (5/22 to 6/21) The prize will be a $500 gift card plus one of each variety of their flip-top products.Click here to enter the giveaway! This is a sponsored conversation written by me on behalf of Domino and C&H. The opinions and text are all mine. In a large bowl, combine all the ingredients and mix well. 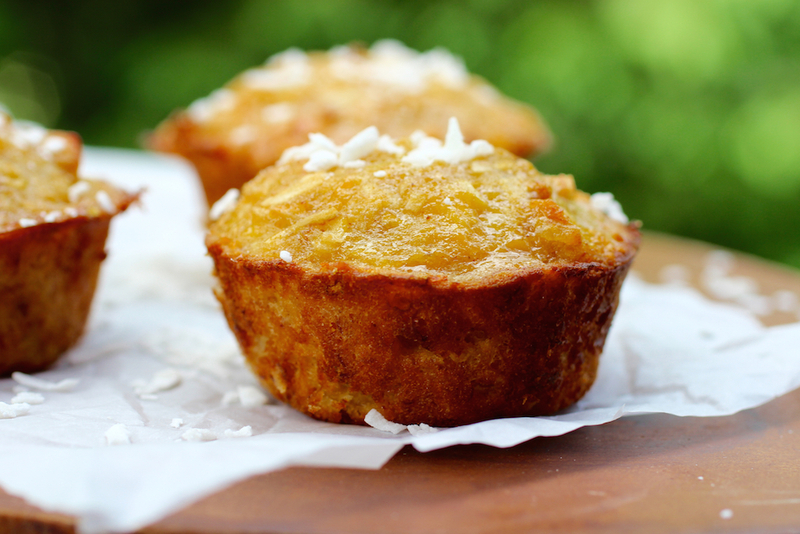 Pour mixture into a 12 greased muffin baking pan and bake for 25 to 30 minutes or until done. 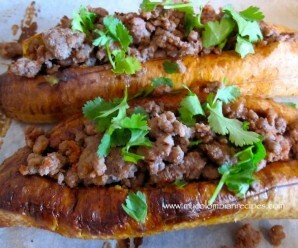 For those who have difficulty in getting ripe plantains , you can substitute ripe bananas. For those in UK and other countries where Domino® brand sugar is not available, you can substitute plain old caster sugar (it’s the same stuff without the hype.) We use a similar recipe to use up over-ripe bananas to make a banana bread, baking the mixture (with or without coconut) in loaf tins. For the calorie conscious, these freeze well so you don’t have to eat them all at once.